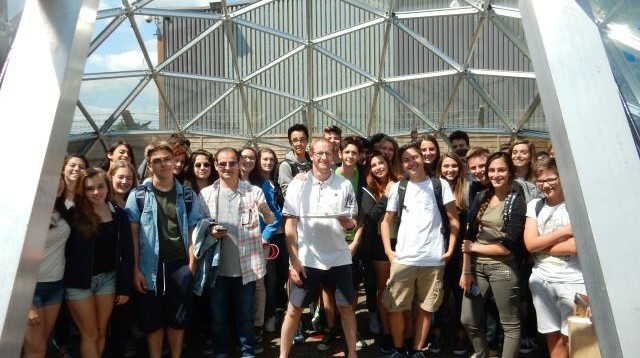 During July we hosted nearly 100 Italian students on educational excursions, bringing the study of STEM to life using geodesic domes. I Viaggi di Tels is based in Pavia, in the Lombardy region of Italy. Over the past 10 years they have brought Italians students to the UK for study vacations, in partnership with English Naturally School of English based in Winchester. Ivan Fowler, from I Viaggi di Tels told us about the programme, “The main focus of our study vacations is public speaking. Students who travel with us not only stay with English families, improving their English along the way, but do intensive training in the art of public speaking, including writing and delivering speeches, and learning how to debate. “They also go on a range of educational but fun excursions with related activities. 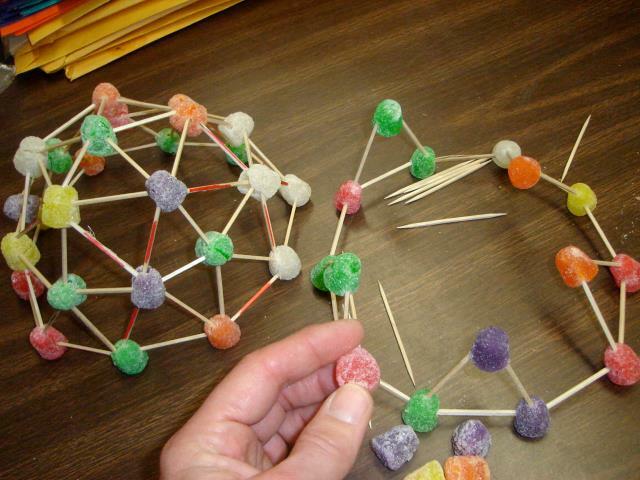 That’s why, this year, they spent time experimenting with making geodesic domes out of toothpicks and sweets, followed by visits to Solardome Industries.” He added. During their visits students were able to see three of our geodesic structures in our showroom; a SOLARDOME POD (3.5m diameter dome); a SOLARDOME Vega (8m diameter dome); and sections of our SOLARDOME PRO architectural system. We asked the students about their experiments and engaged them with a series of questions and demonstrations. We showed them how what they’d learnt in their study of STEM relates to real life, enabling them to put theory in practice. 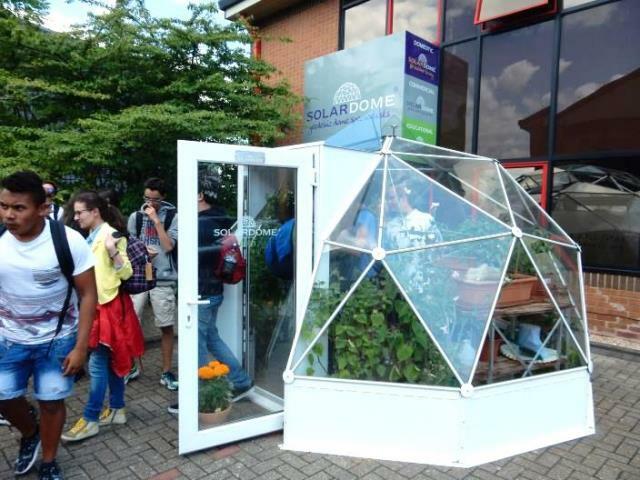 We showed the students, our nodal system (the sweets) our struts (toothpicks) and how they vary between our glasshouse range and PRO system – explaining how we scale-up our glasshouses and dome buildings. We tested the students’ maths working out the dimensions of our dome and spoke about the geometry and the tessellating shapes in a geodesic structure. Also, having seen our assembly instructions and glazing maps, we discussed the frequency and complexities of manufacturing and building a dome. Meeting with the students was an exciting opportunity to inspire young minds by showing them what their study of STEM can lead to. They were particularly interested to learn about our award-winning eco-home project in Norway and how our domes are being utilised in homes, businesses and also as outdoor classrooms in over 80 schools in the UK and around the world. 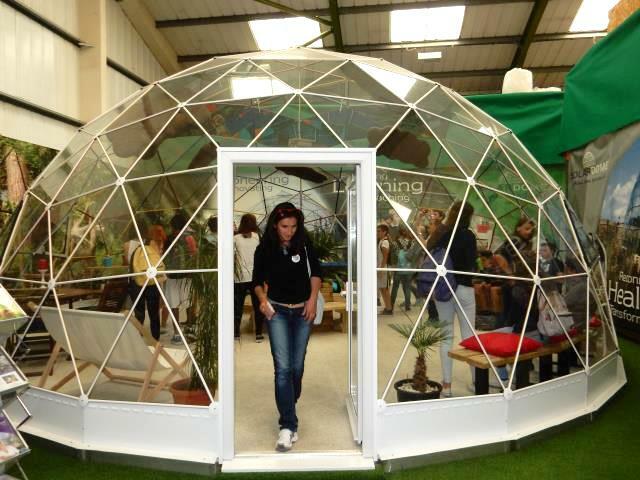 To find out more about how our domes can be used for outdoor learning and the study of STEM visit our education pages.